Mark Ouellette, director of Mobilize Maine, works on creating more sustainable, higher wage jobs by collaborating with everyday citizens. In 2009, when FairPoint Communications wanted to entice the Maine Public Utilities Commission to approve its acquisition of Verizon’s landline business in Maine, it sweetened the deal with a promise to invest in Maine’s economic development. The telecommunications company won its approval and invested in excess of $500,000 over several years to commission ViTAL Economy, a Maryland-based consulting firm, to assist one Maine region to develop a new kind of economic development strategy — one based on leveraging a region’s “unique, indigenous” assets to grow its economy. The nascent effort was dubbed Mobilize Maine, and northern Maine was chosen as the guinea pig. More than four years later that initiative has blossomed into a statewide effort to develop an economic development strategy for all of Maine. Last week, Mobilize Maine received official word that it will be awarded $575,000 from the U.S. Economic Development Administration to bring that goal to reality, according to Mark Ouellette, Mobilize Maine’s statewide executive director. It is the second such grant the group has received, bringing its total amount of federal EDA funding to $1.15 million. Maine is one of only a dozen or so states attempting to create a statewide model for economic development planning, and it’s being noticed for its efforts, according to Brian Kelsey, director of economic development for the National Association of Development Organizations in Washington, D.C.
“I’m really encouraged about what’s going on in Maine,” said Kelsey, who is also a former EDA official. 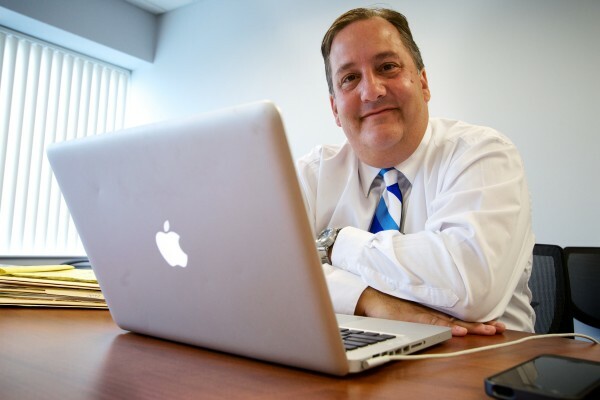 Maine’s strategy differs from less effective models because it depends on identifying the core assets that could be leveraged, rather than defined by what the state lacks, he said. Beginning in 2009, the Northern Maine Development Commission, which administers Mobilize Northern Maine, worked to create a comprehensive picture of northern Maine’s strengths and weaknesses. It decided to target renewable energy and information technology for further attention. Focus on the former recently led to an additional $275,000 federal grant to encourage biomass heating appliance manufacturing in the region. Once FairPoint’s investment was exhausted, NMDC and other stakeholders realized the value of what had been started and sought additional funding to continue the asset-based economic development effort in order to spread the effort to the rest of the state. 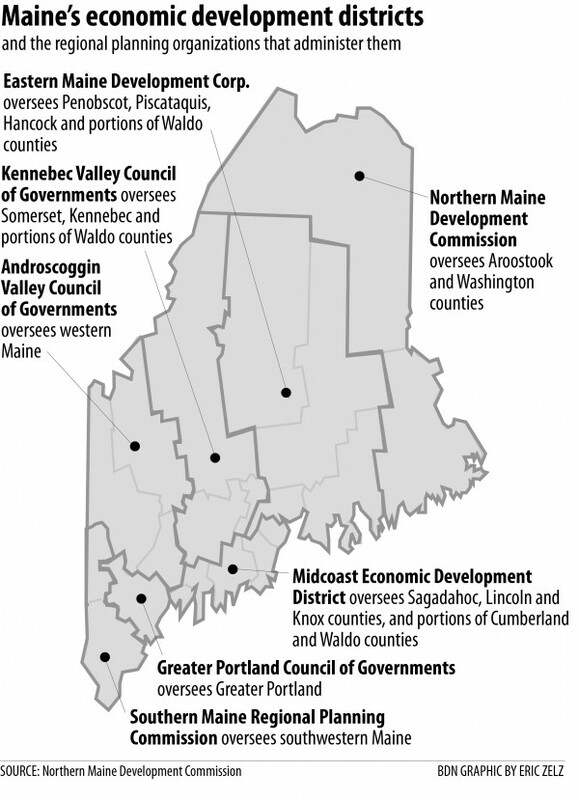 Maine is already divided into seven Economic Development Districts, or EDDs. The districts are federal designations created by the EDA in cooperation with the state to facilitate the allocation of federal economic planning-related dollars. Maine’s EDDs have for years provided the EDA with five-year economic development plans, along with annual updates. When Michael Eisensmith joined NMDC 10 years ago, one of his first jobs was to prepare one of these annual updates to the region’s economic development plan. But Maine’s regions have been developing these plans, Comprehensive Economic Development Strategies, independently and without the input from neighboring regions or the state. Eisensmith and his counterparts in the state’s other EDDs want to change that. The first $575,000 EDA grant helped expand the Mobilize Maine effort to the rest of the state and created a simplified template all regions now use to craft their five-year plans. The second grant, announced last week, will allow those regional plans to be rolled into a statewide plan, Ouellette said. “Now that we have templates and the lens through which we’re going to look at regional economic development planning and strategy, it should be much easier to bring this to a statewide level,” Eisensmith said. Why will this effort to develop a statewide economic development plan for Maine succeed while so many others have floundered? Ouellette said the effort has several things going for it, including buy-in from the private sector and that it’s based on recognizing the diversity of Maine’s regions. However, perhaps its most important benefit is it was built from the bottom up. It was not born in Augusta, its existence is not inscribed in statute, and its funding not a line in the state budget, Ouellette said. Bill Cohen, part of Mobilize Eastern Maine’s leadership team, said in his 35 years of working on economic development initiatives, he’s never been involved in anything with as much promise as Mobilize Maine. So far, the state has had little involvement. A few legislators and DECD account executives have kept tabs on the process, but that’s the extent of their involvement, Ouellette said. For now, though, that lack of state involvement is seen as a benefit. Eisensmith said the regional effort was born of a realization that if left to the state, long-term economic development planning would continue to be a piecemeal approach exposed to the whim of each new administration and Legislature. “We’re not waiting for the cavalry,” he said.